Smoke from chimney against blue sky. 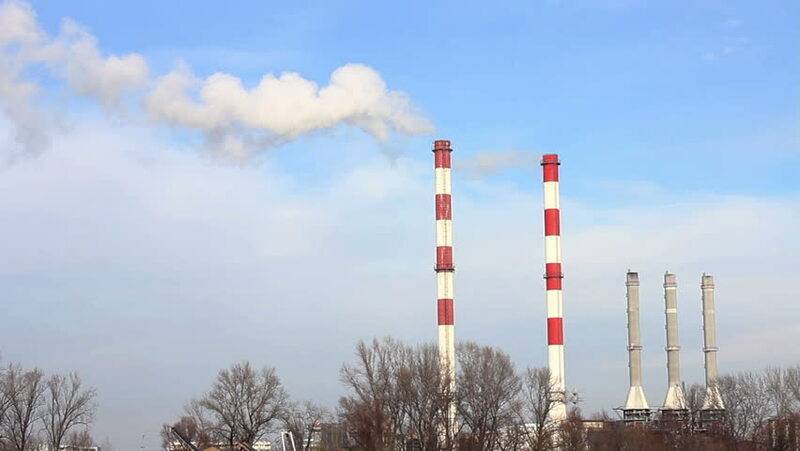 4k00:10Thermal power plant or a factory with Smoking chimneys. Polluting smoke into the clear blue sky. hd00:13Industrial, ecology and environmental pollution. The smoke from the chimney of the industrial plant. hd00:11Smoke from factory with grey sky and clouds. Industrial pollution.